Last week, movie-ticketing service MoviePass’ ongoing business problems hit crisis mode when its app stopped working in the middle of Thursday night, with the company having to secure a $6.2 million emergency payday loan just to keep the lights on. But over the weekend, the app blocked subscribers in many markets from purchasing Mission: Impossible—Fallout tickets, and it looks an awful lot like it’s all downhill from here. Remember that the MoviePass business model essentially boiled down to using investors’ money to subsidize users’ tickets at seemingly impossible rates, all with the ultimate objective of muscling its way into the theater business by proving it could beef up attendance. The problem with this is that theater margins are already slim, and if the big chains decided not to play ball—which they haven’t, with AMC launching a rival service—then the company’s lifespan would be determined by how long it takes to burn through their investors’ money. Last week, MoviePass’ parent company, Helios and Matheson Analytics, did a reverse stock split that boosted shares to about $14 on Wednesday from $0.09 on Tuesday. The service temporarily shut down on Thursday night because it ran out of money, and HMNY said in a Securities and Exchange Commission filing on Friday that it had to borrow $5 million in cash to get it back online. Its stock closed at $2 on Friday... HMNY’s stock closed below $1 on Monday. Even worse, the app stopped disbursing tickets again on Monday, according to TechCrunch. This is all somewhat of a shame, because at the end of the day, MoviePass is a fantastic deal for everyone who wasn’t lending it money, and it pumped much-needed life into a theater market that saw its lowest attendance in 25 years in 2017. MoviePass claimed that it is capable of raising the box office of a particular film by 10 percent when it really puts all the gears in its app into motion, and per the East Bay Times, the app seemed to generate both better business for smaller theaters and higher attendance at showings of smaller, independent films. Of course, this boost essentially boiled down to MoviePass giving out piles of tickets at cost, something it said it needed to reach a (possibly magic) number of five million subscribers. At that point, the company claimed its financials would start to reach a break-even point and it would have the leverage to negotiate with theaters. Even assuming that was the case, it would need to continue blowing through tens of millions of dollars a month to get there, i.e. the kind of thing that makes lenders really, really break a sweat. 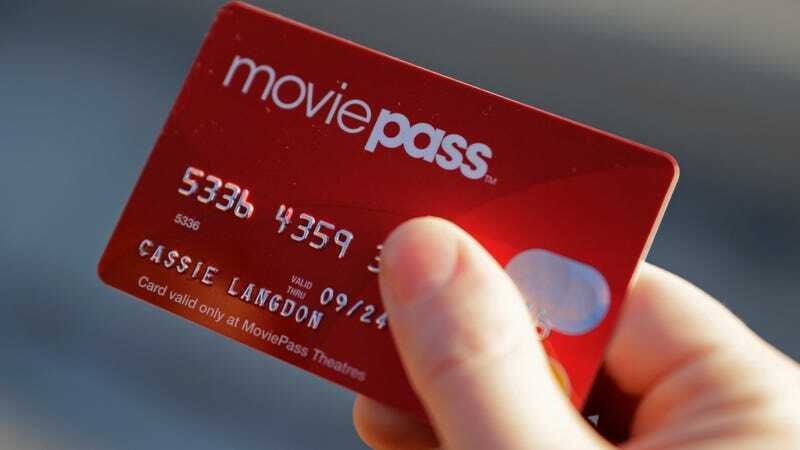 While it’s possible that no longer paying for major films will save MoviePass money, seeing those films for pennies on the dollar was the nitro that boosted the company’s rapid expansion in the first place. Perhaps it’s not time to start the funeral tolls yet, but investors could be left holding the receipt for all those subsidized tickets with nothing to show for it any day now.